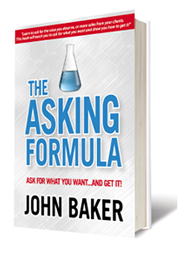 Do you want to bring The Asking Formula to your client circle, diverse sales team, leaders, or employees? We want to hear from you. 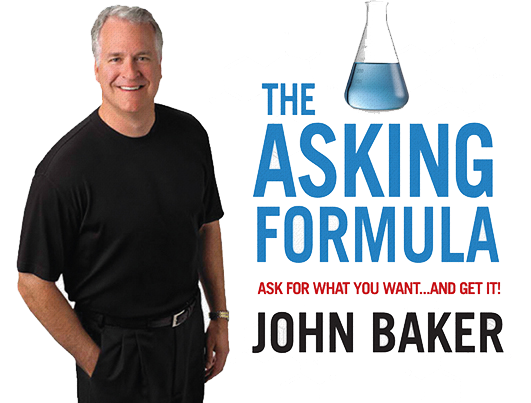 We want sales and leadership effectiveness trainers, facilitators, and workshop leaders to help spread the powerful, life-changing message of The Asking Formula. A full-immersion, intensive 2.5 day Train-the-Trainer program that certifies and licenses you to lead a half-day or full-day The Asking Formula Workshop. Key insights and personal anecdotes from John Baker on the guiding philosophy of his unique methodology. Coaching from experienced and seasoned program facilitators who have delivered multiple workshops and helped design the curriculum to appeal to adult learners. Certification programs are generally for 10-15 people and are offered periodically throughout the year. For organizations wanting to certify a group of their employees, we can arrange at a location of their choice. Certified Facilitators receive a package that includes all of the necessary materials for a facilitator of any experience to deliver The Asking Formula.